Negba is overseen by a highly active and talented Board of Directors which utilizes professional business standards allowing for transparent, efficient and fast operation. The dedicated members not only contribute financially to Negba, but they donate significant amounts of their time- some of them working almost full-time- bringing their expertise in management, finance, public relations, social work, psychology and education. Negba is grateful for their leadership. Negba’s Honorary Board of Directors is comprised of community leaders and public figures who endorse Negba’s mission. Negba is most appreciative of their help to advance its cause. Claude Kadouch, a retired economist,was the founder and Chairman of Lambda (educational technologies). He has worked in the fields of Jewish education, and in the media (former Chairman of the weekly "Tribune Juive" and the website "Proche-Orient info"). He came to live in Israel permanently in 1980. Claude Meyer (za"l) is a retired businessman and community leader, founder of numerous companies and projects in France and Israel. He was President of l'Appel Juif Unifié in eastern France for 12 years and came to live in Israel in 1984. Jean Bisseliches is a civil engineer with a degree from the Ecole des Mines in Paris and an American M.Sc. He is a former CEO/CIO of leading systems engineering, software companies and major groups. He was President of the AUJF Fundraising Committee for the IT sector, and of Temple Ohel Avraham. Jean has been living in Israel since 2001. 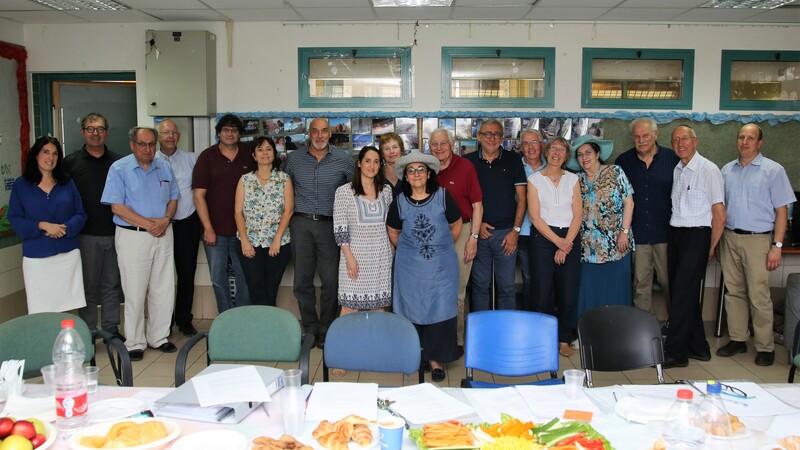 In 2006 the two Claudes co-founded Negba as a vehicle for addressing social inequality in Israel, beginning with Israel’s most vulnerable population- its children. From the very start, Jean volunteered with them. Over the years, they remained actively involved in the developments at Negba, and took personal interest in their Negba "grandchildren." Unfortunately, Claude Meyer passed away at the end of 2016.